Ever since the globalization of football and its acceptance by the masses, its viewership advanced to new heights. With ever-increasing footfall in the stadiums, the need to recognize the favourite players grew strong. Legendary Arsenal manager Herbert Chapman was a visionary. Among other things, he introduced the concept of squad numbers which at that time seemed insignificant but over the years have changed the way the game is viewed and marketed. Traditionally, #11 is assigned to a left-winger because the squad numbers were allotted based on the playing XI and left wingers are always last in the pecking order. Though in the modern era, the squad numbers do not generally matter. They are simply allotted based on the club's reforms or the available numbers. Such was the curious case of the Serbian full-back Aleksandar Kolarov, who wore the #11 jersey while running up and down the left flank with defensive duties. Great players like Ryan Giggs, Didier Drogba, Romario, Miroslav Klose and the greatest, George Best wore it before making the #7 jersey a legacy at Manchester United. Although the spotlight for #11s may have declined over the years, there are still a lot of players who are effective and leave an everlasting impact on the pitch wearing this number. After much analysis, we have come up with a list of world-class players who wear #11 on their backs, based on their FIFA 18 ratings and their impact on the game. When Bayern Munich bought the Brazilian, many expected him to bench Arjen Robben and make his way into the first team. After a decent first season at the club in 2015, he fell down the pecking order under Carlo Ancelotti who preferred using Franck Ribery – and the Frenchman had vindicated Ancelotti’s trust in him. Douglas Costa was offloaded to Juventus on a loan with an option to buy clause for this season, where he was awarded the #11 jersey, which he left vacant after leaving Munich. He is relatively versatile and can drift into several positions. He is sound on both wings and can also ply his trade in the hole and as a #9 as well. His work ethic and commitment towards the team is extraordinary. His first season in Germany being a testament to that. Anthony Martial came into the limelight after a deal potentially rising to £58m with Manchester United making him the costliest youngster in the world when he moved from AS Monaco. Back on his debut for the club two years ago against Liverpool, the anticipation over his future was palpable. Could he be the next best player in the world? Would he be able to justify his price tag? In his defence, owing to his age, he performed remarkably well, being the highest scorer for United in 2015-16. In his two seasons at the club so far, he has been lucky to have been allotted two legendary numbers, #9 and #11, but courtesy of his playing style now, #11 suits him best. #11 was worn by the great Giggs, who is ecstatic to see the Frenchman wearing it and justifying his credentials. Being a fan favorite, Martial is already showing his abilities this season. 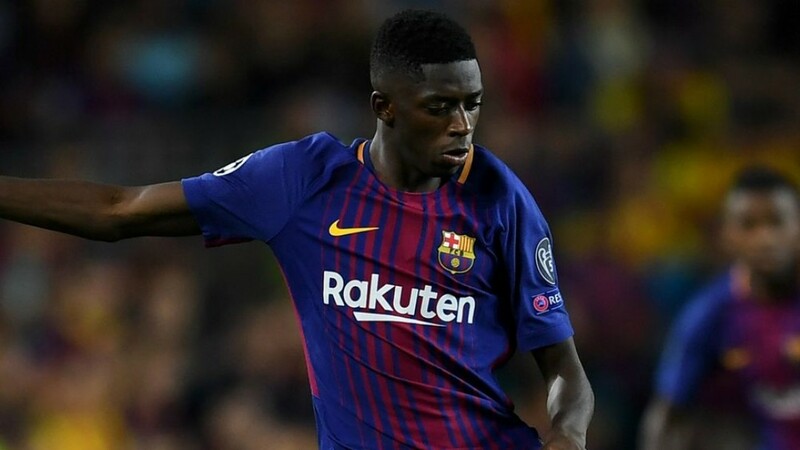 Hailed as a future Ballon d'Or winner by former United defender and compatriot Mikael Silvestre, such praise has become the norm for Ousmane Dembele. After a tussle that involved all major European giants ended with a transfer to Borussia Dortmund from Rennes last summer, Dembele was in the spotlight again a year later. An excellent debut season at Dortmund has seen yet another steep climb in the upward trajectory of his career. He became the marquee signing for Barcelona after Neymar snubbed them for Paris Saint Germain. Post-Neymar’s transfer, Dembele donned the Brazilian’s #11 jersey to form Barca’s new trident – MSD. Technically, he is gifted to be able to use both his feet with greater control and composure. Even before Kylian Mbappe exploded onto the scene in Ligue 1 last season, Dembele had previously set a remarkable scoring record in France’s top flight. It will be interesting to see both players play for France in Russia this year. 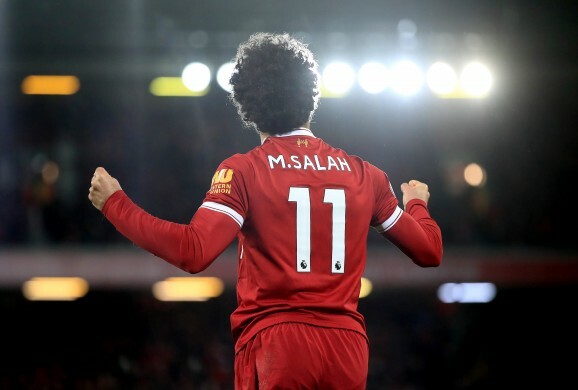 Mohamed Salah is an Egyptian midfielder who currently plays for Liverpool. The 25-year-old winger has super speed and shot power that has haunted Italian goalkeepers since 2015 after his trade to that league. The left-footed forward is most suited on the right wing owing to his ability to tuck in and emulate Robben. Salah came to Merseyside last summer and Roberto Firmino gave his #11 to him. He has been consistent for the Reds, scoring and assisting several and taking the league by storm. He has scored 36 and assisted another 12 in this season in all competitions. Pedro is a Spanish international who currently plays for Chelsea. Often deemed as one of the less gifted players who make their way through sheer hard work and dedication, he has won just about everything possible in Spain, both on the domestic and the international front. He has been a workhorse for every manager, playing in unnatural positions for the needs of the team. After his trade to Chelsea, he wore #17 on his back, but after the departure of Oscar, #11 became his forte. He has been pretty flawless in every position he has played in for Chelsea, winning the Premier League last season. They nicknamed him El Fideo, which translates to The Noodle, because of his very thin and long legs. When he receives the ball and runs at full speed, it feels as though Bugs Bunny has just taken a carrot and is on the escape. Regardless of that, he is a world-class dribbler who can humiliate any player, anytime. Angel Di Maria, apart from his 2014 UEFA Champions League final stardom, is widely known for his infamous exit from Old Trafford and being another prey to the #7 duties at United, but after setting foot in Paris, he was given the #11 jersey, indicating an important role for him. A wiry player who uses his pace and crossing to good effect, Di Maria is one of the prospects that any team would kill for. Though his performances have become better, Di Maria is no more the sole threat in a rapidly rising squad of world-class players. The arrivals of Mbappe and Neymar likely pushed Di Maria to the fringes but he is back on the field, dribbling-in-dribbling-out and scoring goals. James Rodriguez rose to the occasion during the 2014 FIFA World Cup and proved his mettle. Post the tournament, he was quickly signed by Real Madrid. His days at the Santiago Bernabeu were nothing short of any movie script, but only with a sad ending, at least as of now. He went from being a fan favourite to being surplus to requirements. He is currently employed with Bayern on a 2-year loan but after all the hustle he has been through, there are no signs of any decline in his quality and reliability. He wore #10 during his days in Madrid and is now playing with #11 on his back. His performance during the World Cup Qualifiers has been instrumental, especially his dominating display against Brazil. Ancelotti was the man who brought him to Madrid and is desperate to make the most of him during his loan in Munich. He is one of the rare players who has stuck to a particular number for a very long time, probably the longest on this list. He was appointed #11 during his days in Borussia Monchengladbach and has continued to use the number with Dortmund and Germany. Technically, he is a natural inverted left winger with ample pace and a vision to create and score goals. If it had not been for his injuries, we would have seen a much greater impact from the player. Marco Reus, when fit, can do wonders on the field, proven by his performances in 2013 UCL semi-finals. The five-time German Player of the Year is currently plying his trade at Arsenal. Mesut Ozil is one of the most gifted players of his generation as has proved that time and again on the football pitch. While his versatility and sheer ability cannot be doubted, his commitment to the cause sometimes has been questioned. Gooners, at times, do not look at his work-rate but are always after him due to his casual playing style. Statistically, he is believed to be the best at providing assists, generosity to his vision and an eye for finding his mates. He can play on the wings but is most effective when played in the hole. He started wearing #11 once after his trade to Arsenal. Once the costliest player on the planet, Gareth Bale has tremendous pace along with ample dribbling and shooting abilities that any team would love to have. Bale’s transformation from a maligned left-back into one of the most fearsome wingers on the planet is quite well documented, with the Welshman proving his detractors wrong time and again during his journey from the south coast of England to the glaring lights of the Bernabeu. After his consistent performances on the wings, he was given the #11 jersey at his former club, Tottenham Hotspur. Since then, He is seen wearing the same number for his country and his present club, Real. His meteoric rise as a player has mirrored the rise of Wales’ national team from #117 in 2011 to 13 in 2017 in the FIFA Rankings. The most decorated player in Indian football history is none other than Sunil Chhetri. 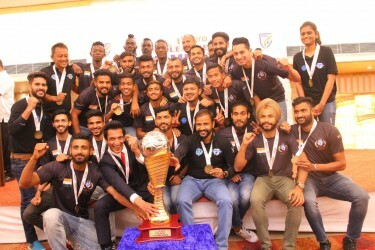 He has been one of the front-runners and has been there since the inception of his current club Bengaluru FC. Chhetri’s international career is highly identical to that of Bale and the Welsh football team. Chhetri has been a pivotal factor in the rise of the Indian team from #173 to #96. He is one of the rare active players who are the current leading goalscorers for their respective countries. Captain Fantastic, ever since wearing the armband for The Blues, has been wearing the #11 jersey.